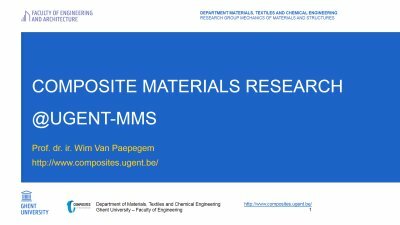 The slide show and flyer present the main research activities of the Mechanics of Materials and Structures research group. You can click on the links below to download the slide show or flyer. 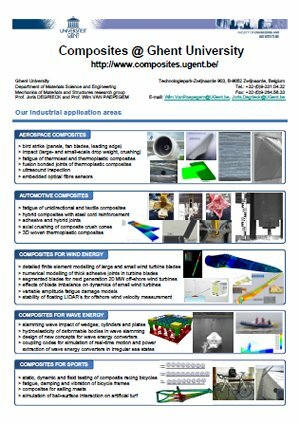 Both have been built in Powerpoint, but are made available here as a PDF document, so it is easy to save or print the document for later use. References to movies inside the presentation will only show as a single picture, but many movies have been made publicly available in the movie gallery. Of course, you can always contact us if you would like additional information about any topic. Myself and our staff are always prepared to welcome you in the department and to guide you around in our laboratory.